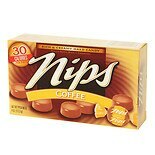 Shop Nestle Nips Hard Candy Coffee (4 oz. )4 oz. 3 for 2 dollars and 79 cents or 1 for 1 dollars and 29 cents 2/$2.00 or 1/$1.29 $0.32 / oz. 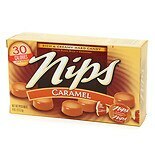 Shop Nestle Nips Hard Candy Caramel (4 oz. )4 oz.